Changes in how US hospitals and doctors are reimbursed are happening fast. Hospitals now have many opportunities to improve quality and achieve positive financial results in bundling programs, but “Where to start?” is a common question. 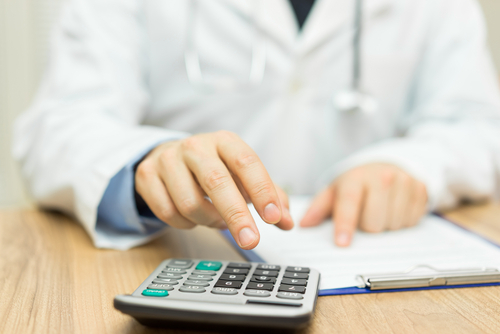 Bundled payment sets a single spending target for all applicable health care services provided during a clinical episode of care over a specified time period. The goal of these changes is to create financial incentives that encourage providers to coordinate care across treatment settings, reduce unnecessary services, and expand initiatives that can help patients recover quickly. Post-acute care is a major component of total per-episode spending and will be the focus of many successful initiatives. This is because the most significant opportunities for reducing spending and improving quality generally occur after surgery and after patients are discharged from the hospital. Establish data analytic and information sharing capabilities. Redesigning care is in the purview of the surgeons, nurses and the administrators that support them. Targeting post-acute care starts in the operating room and then transitions to the ICU. The three most common causes of complications and readmissions after heart surgery are postoperative atrial fibrillation (POAF), effusions and infection. One area with great promise to measure for improvements with bundled care the use of active clearance of chest tubes to reduce the incidence and consequences of Retained Blood Syndrome (RBS). Chest tubes are used on every case after heart surgery to drain blood from around the heart and lungs in the early hours of recovery. If there is any bleeding, or even oozing tissues, the blood must be immediately drained externally by the chest tubes. But chest tubes frequently clot, which can lead to Retained Blood Syndrome (RBS), which includes the need for re-interventions to wash out clot, remove blood or bloody fluid, or long term, even fibrosis around the heart or lungs. Blood, even in small volumes left around the heart after surgery can cause an inflammatory response, triggering complications such as postoperative atrial fibrillation (POAF). A recent editorial emphasized how seemingly small complications can have big impacts on outcomes, and should not be ignored. A recently published paper in the Journal of Thoracic and Cardiovascular Surgery by Balzer, et al, illustrates how retained blood can be a major source of ICU bottlenecking. Retained blood occurs when there is insufficient postoperative blood evacuation due to chest tube clogging. In this study 19% had retained blood, which was associated with a length of stay more than 13 days in the hospital (OR, 3.853; 95% CI, 2.882-5.206; P < .001) and 5 days in the intensive care unit (OR, 4.602; 95% CI, 3.449-6.183; P < .001). The OR for a time of ventilation greater than 23 hours was 3.596 (95% CI, 2.690-4.851; P < .001) and for incidence of renal replacement therapy was 4.449 (95% CI, 3.188-6.226; P < .001). Studies have shown that active clearance of chest tubes may reduce this. In a propensity-matched study by Sirch, et al, also in the Journal of Thoracic and Cardiovascular Surgery, patients who had active clearance of chest tubes had a 43% reduction in retained blood and a 33% reduced incidence of postoperative atrial fibrillation (POAF). This included a significant reduction in the time on the ventilator postoperatively in the ICU. Some programs are using defined lean six sigma quality initiatives to measure and track the benefits of such an initiative which can be reproduced at any hospital. How are you preparing for the bundled payment system in cardiac surgery? Maybe it’s time to take a look at Active Chest Tube Clearance.